Fall is the perfect time to whip up some delicious Chili! 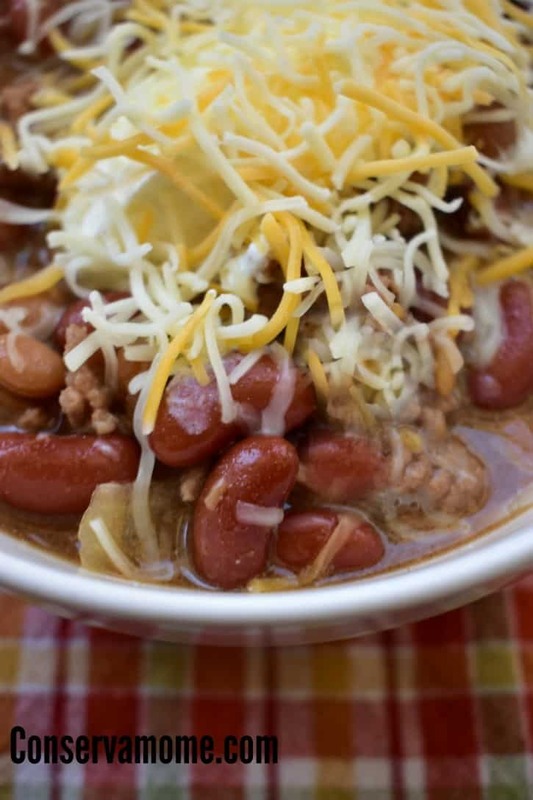 Here’s your chance to enjoy some yummy chili with 13 comforting chili recipes. Fall is the perfect time for Chili. It’s an easy meal that anyone can prepare. How you eat your chili may be as unique as where you come from.s a spicy stew containing chili peppers, meat (usually beef), and often tomatoes and beans. Other seasonings may include garlic, onions, and cumin. Geographic and personal tastes involve different types of meat and ingredients. Recipes provoke disputes among people some of whom insist that the word “chili” applies only to the basic dish, without beans and tomatoes. So depending on the area of the country you go to some may just eat the chili without beans. No matter what “Chili path” you take most people can agree, chili is delicious! Chili isn’t just a basic dish, thankfully you can incorporate your favorite ingredients adding or taking away those you like or dislike. 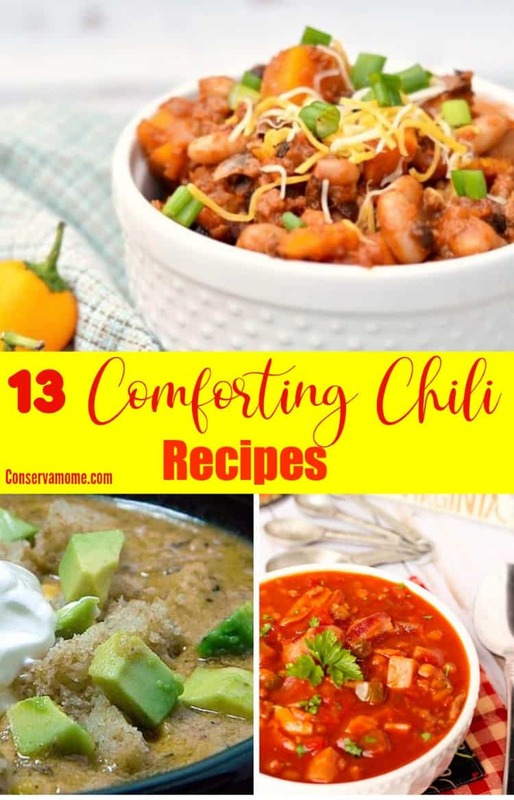 So in honor of this delicious treat I’ve chosen 13 comforting chili recipes perfect for a cold fall meal or just because. Some are quick while others can be cooked in your slow cooker giving you the perfect fall dinner recipe. 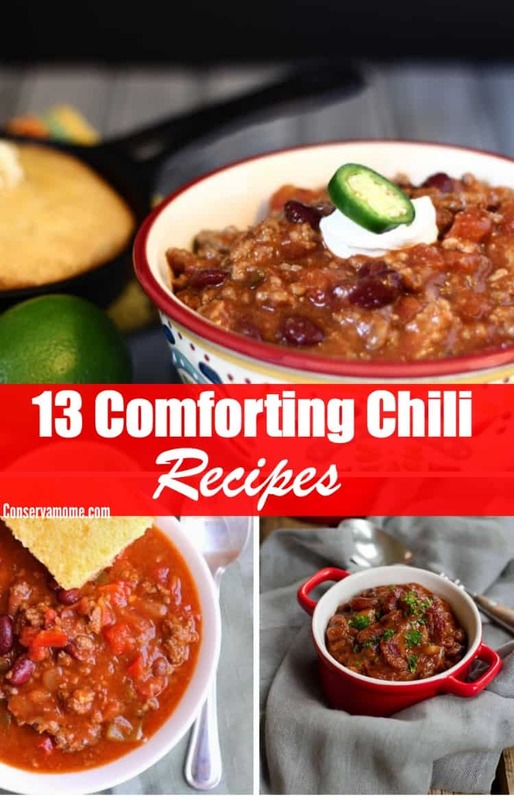 So head below to check out these 13 fantastic chili recipes! Finally my 3 Bean Chili recipe which is the perfect Fall dinner recipes. Looking for other great recipes? Check out 10 delicious Instant pot soups to keep you warm!